Summer is officially here and the scorching heat can be unforgiving. Before we head on over to the beach, let us make sure we got ourselves covered. 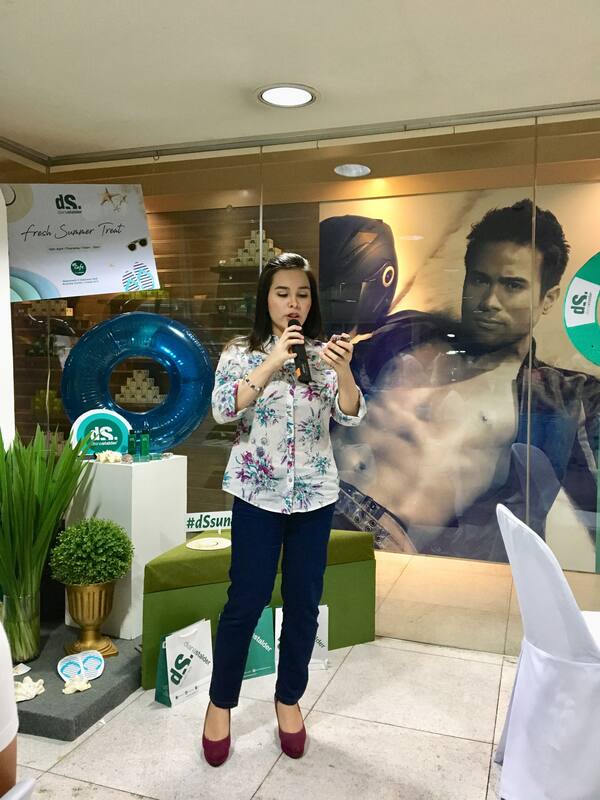 Diana Stalder discussed during the recent Fresh Summer Treat Bloggers Get Together how exactly we can enjoy the summer and manage the UV radiation through proper skin care. We sure don’t want to speed up aging and acquire damaged skin while we are beach bumming, right? What do we do with Sunburnt Skin? The overexposure to ultraviolet rays can cause for our skin to have sunburn. Areas that are exposed are more often than not are sensitive areas. 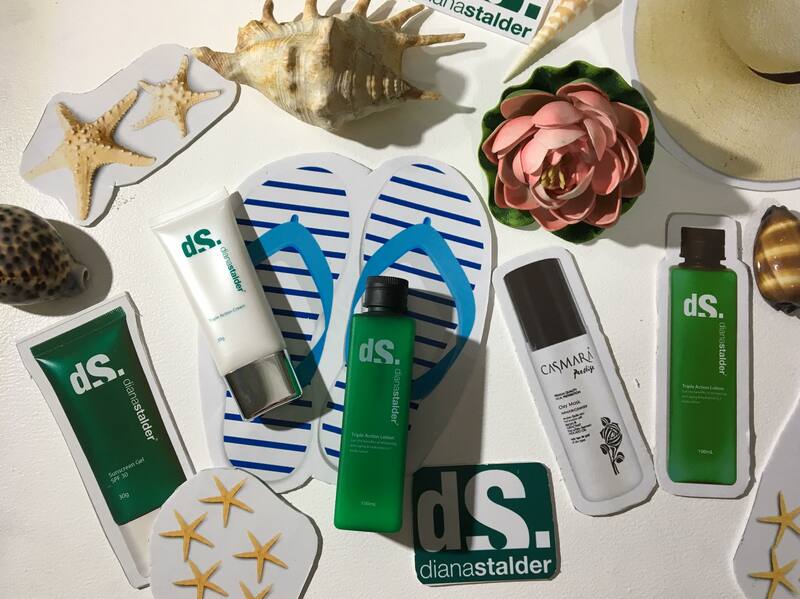 Here are a few pointers Diana Stalder gave us if we get our skin sunburnt. Hydrate. Drink plenty of water. It is important to treat the inflammation and reduce the damage to the deeper layers of the skin. 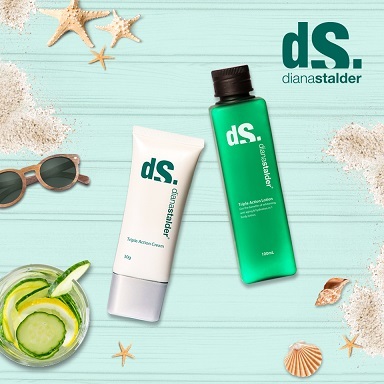 For faster healing, use Diana Stalder Triple Action Cream and Triple Action Lotion as a perfect combination to help treat sun damage. It whitens and hydrates the skin while reducing the appearance of wrinkles, age spots and unwanted pigmentation, resulting in a radiant, healthy and youthful complexion in just 1-2 weeks. With Diana Stalder Ultimate Power Peel treatment, the texture of the skin is smoothened out by using glycolic acid that remove the outer layer of the damaged skin. Glycolic acid is part of the group of active compounds known as AHA (alpha hydroxy acids), derived from cane sugar. It has the smallest molecules that penetrate the skin deeply and easily, making it the most effective for treating fine lines, acne, blackheads, and oiliness.This treatment is an effective procedure that successfully helps in visibly reducing acne scars, acne, rough and patchy skin. It also helps in reversing signs of aging like dark spots, wrinkles and fine lines; and improves other skin condition like keratosis, scarring from injuries, skin damage from prolonged exposure to sun and uneven pigmentation can further be address with this procedure. The effects of this treatment can be remarkable but there are risks involved in using glycolic acid because it is an active compound. 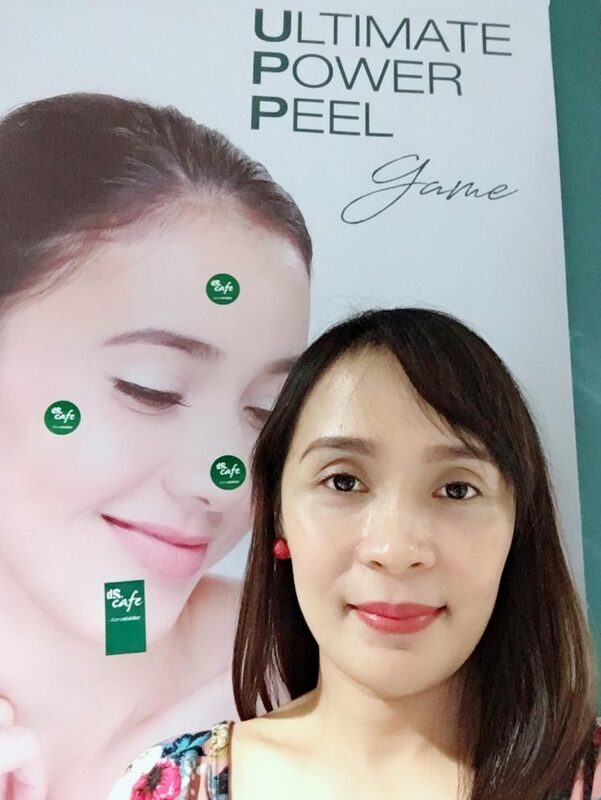 To ensure you get only the best effects from this amazing treatment, it is very important to apply the skin care tips from Diana Stalder skilled therapist, and don’t forget to wear sunscreen to avoid pigmentation and further damage. It is always best to prevent sun damage, this is why I am with Diana Stalder on championing the use of sunscreen. I may have started late but I make sure I start my day by making sure I slather my face with sunscreen. Yes, even if I just work from home. The computer skin emits UV rays, and I am not going to risk more damage to my skin than it already has. 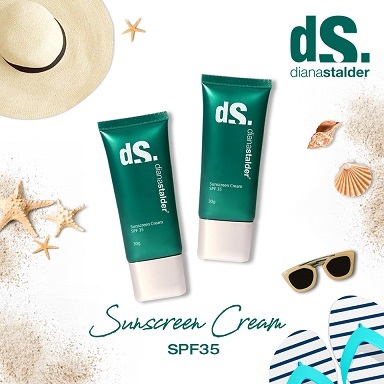 I personally religiously apply Diana Stalder Sunscreen Cream SPF35, 30 minutes before computer or sun exposure. The ideal is to reapply every 2 to 4 hours. But I get really busy as the day goes, so this is something I will have to do better at. The broad spectrum sunscreen protection containing Titanium Dioxide and Zinc Oxide that physically (instead of chemically) block rays. These sunscreen agents protect against UVA and UVB rays. Sunscreens can be used daily, any time of the year.